Morgan State and Coppin State battled in an instant classic. When the battle was over, CSU walked away with a two-point win. 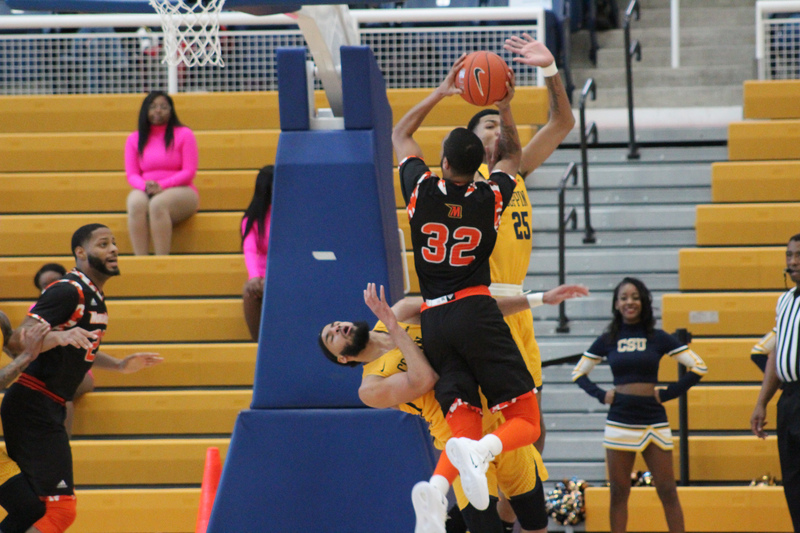 Morgan State and Coppin State met up on the west side of Baltimore on Saturday to settle a score. Coppin State walked away with a 73-71 win in front of 1,523 fans in Part One of the Battle for Baltimore. Morgan State started off hot in the first half. It shot 50 percent from three, controlling the pace in the process. Sherwyn Devonish-Prince Jr heated up early with nine points in the half. The Bears finished the half with an eight-point lead. That lead and many other by both teams were taken away as the game turned into a heavyweight fight. Every shot seemed to have more and more significance. Dejuan Clayton scored most of his 16 points in the second half, adding eight assists overall. Same went for Lamar Morgan as he slowly reached 15 points in a very fast paced 2nd half. Kent Austlander’s eight bench points seemed to give an extra boost to Eagle fans and his team as well. Towards the end, Morgan State could not make its shots as CSU held on to a tight lead. Coppin State now leads the all-time series 58-32 and is now 5-4 in the MEAC. Devonish-Prince Jr led all scorers with 19 points, while three other Bears scored 10 each. The Eagles still rank well in the MEAC standings as the Bears fall down. As other programs in the area like UMBC and Towson gets their shine in the local and even national media, Coppin State and Morgan State remains the true Baltimore rivalry. It’s storied and it means so much to many people. The two teams will meet again on March 7th. Coppin State sweeps Morgan State for the first time in four years.